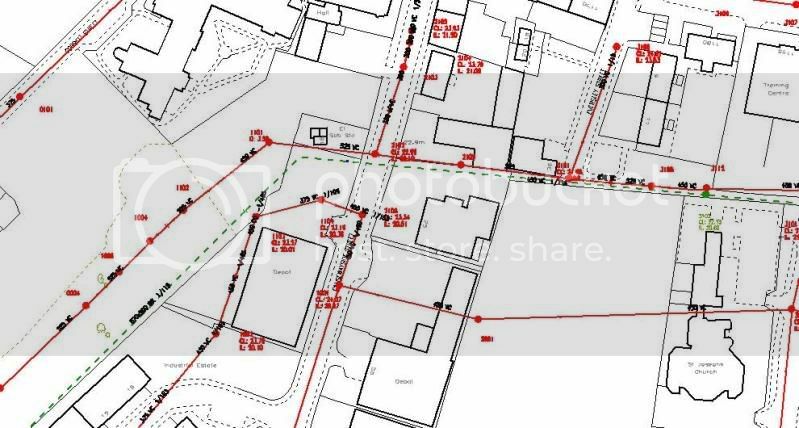 Bit of a contradiction here on the maps in relation to the burial ground near Mount Vernon Station. 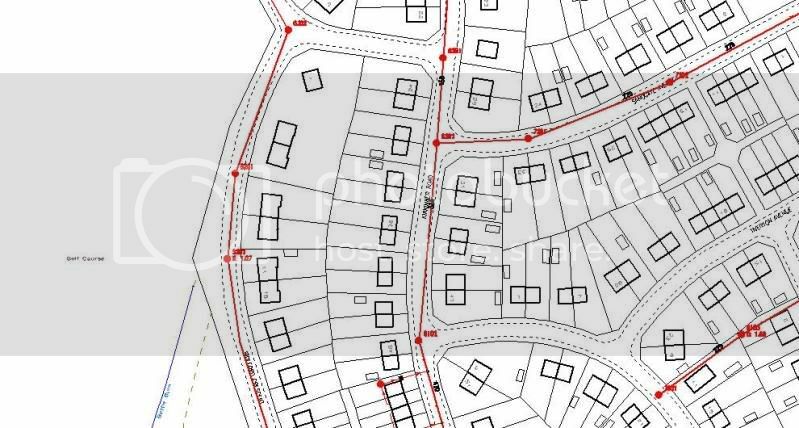 The present day OS lists the site as Iron Age but the old map quotes Bronze Age? Anyone live out that way and fancy getting a pic at ground level? C'mon, the dug needs a walk anyway! Tried to find out about it on tinterweb but there's a few possible "Bronze Age Burial Sites" in the area which it could be. There's one listed at Springhill Farm too. Might be the same one(?). I don't know the area or it's history that well. Hard to believe it's there in the middle of a modern housing estate! Toomse I have to say that the Battle Burn originating at Barrachnie Park is a new one on me, no burn there at all. 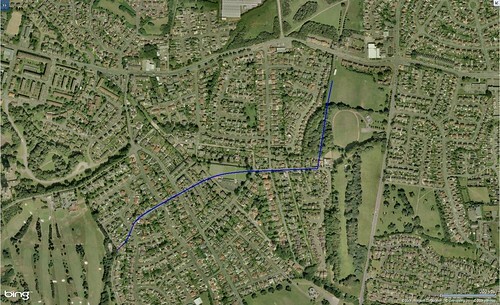 The dotted line extending through Mount Vernon to the west of Barrachnie park refers to the old parish boundary between Old Monkland and Barony. I think somebody's records are confused. 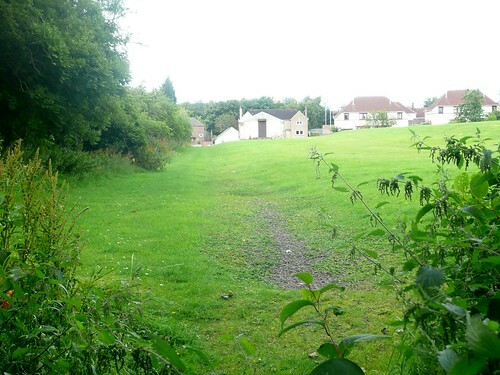 The site at Greenoakhill [now a landfill site, howzat for cultural heritage?] was a Bronze Age burial site discovered by sand quarry working in 1928. 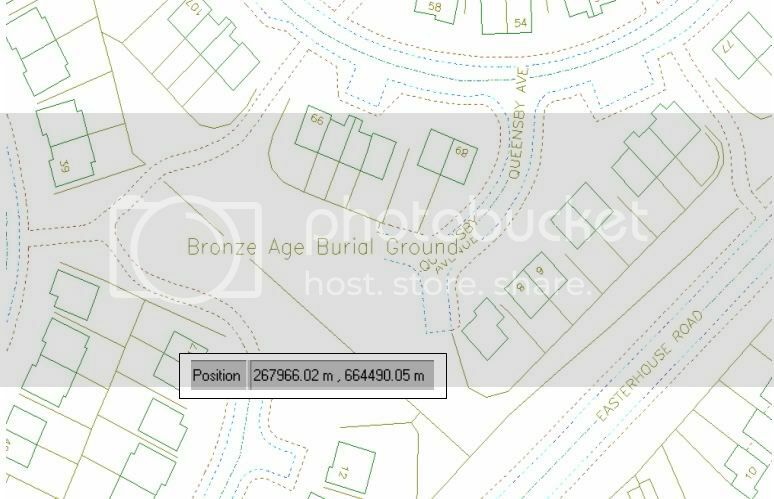 I think the position of the other Bronze Age burial site at Springhill is a tad off. It was discovered by a couple of farm workers filling in a cutting of the old mineral railway line there in 1934. The Ordnance Survey is not always perfect. Icecube wrote: Toomse I have to say that the Battle Burn originating at Barrachnie Park is a new one on me, no burn there at all. 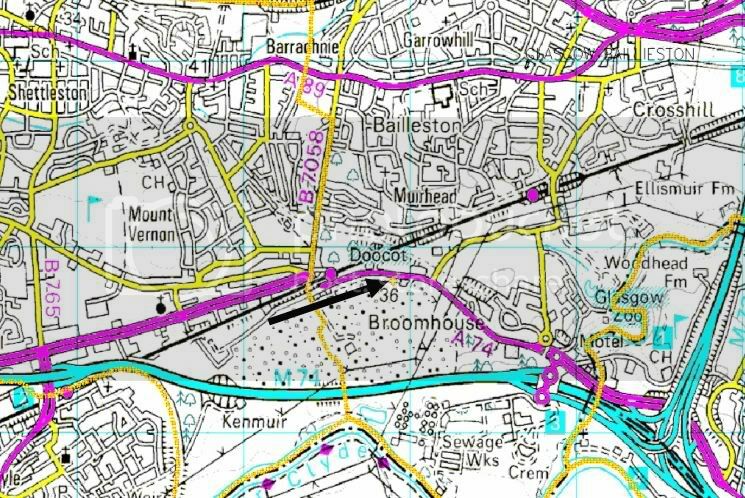 The dotted line extending through Mount Vernon to the west of Barrachnie park refers to the old parish boundary between Old Monkland and Barony. I think somebody's records are confused. I'll pick this one up as I think Toomse took his lead on this from something I said elsewhere. 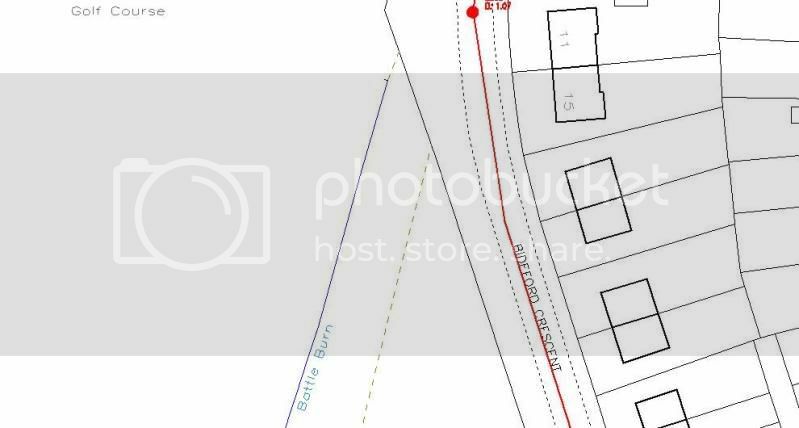 You're right in what you're saying, in the respect that the dotted line you referred to was the old parish boundary and there is no visible burn at Barrachnie Park. My understanding is that the parish boundary through Mount Vernon followed the course of the burn. 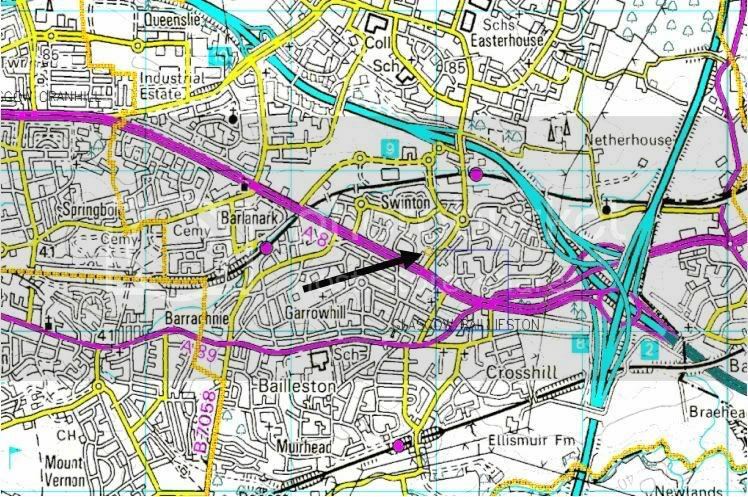 This was definitely the case as the boundary continued through Tollcross and is the reason why the Fullarton area (unlike the parts of Tollcross on the north/west side of the burn) wasn't absorbed into the Glasgow city limits until the local authority reorganisations/boundary changes of the mid-70s. There was a visible section of burn at Barrachnie Park up until the late 80s/early 90s, though, at which time it was culverted. I know this because my grandparents' house backs onto Barrachnie Park and I used to regularly play down at the burn as a kid. On one of my visits I turned up to find the Council had laid a pipe along the channel and were covering it over with gravel. 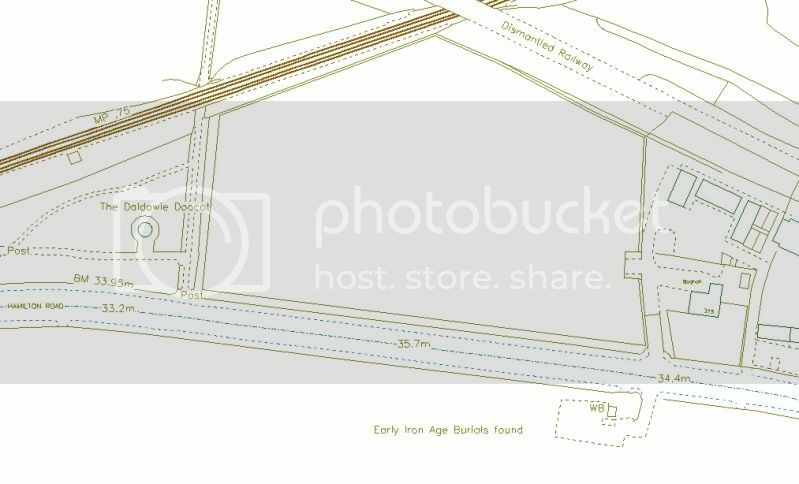 The below image shows roughly where the open section of burn was. The burn flowed towards the woodland, crossed a small old wooden footbridge just at the edge of the tree line and then entered a pipe a couple of yards beyond this. There was always some sort of flow in this section (even after a prolonged period of dry weather) so my guess is that there might have been some sort of underground spring nearby. After any reasonable storm, the water level would noticeably rise - sometimes to as deep as a couple of feet. This was obviously influenced heavily by the natural run-off from the park. 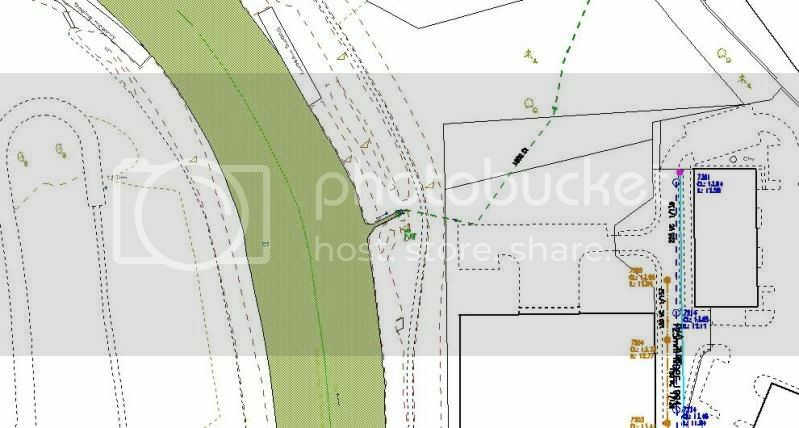 A fair amount of the park run-off was channelled through the drainage ditch that ran in a perpendicular direction along a narrow tree line. 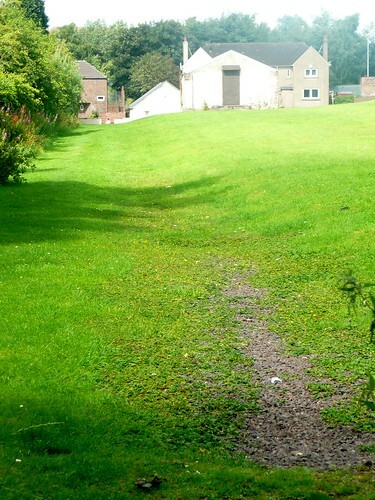 Unlike the burn, the ditch always seemed (to me at least) to be more of a man-made feature, particularly as it was always bone dry unless it had been raining. 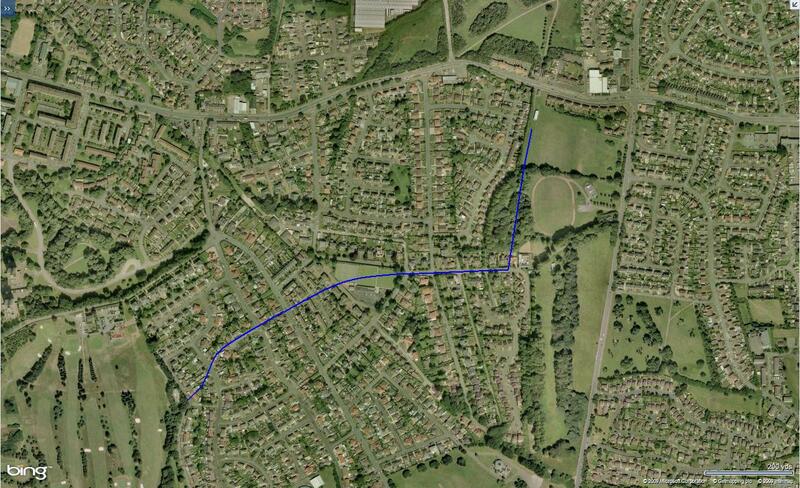 The below image shows the (approx) route of the burn through Mount Vernon to Sandyhills Golf Course. Please note this isn't the same as the original course of the burn due to culverting/diversions that took place as Mount Vernon developed. 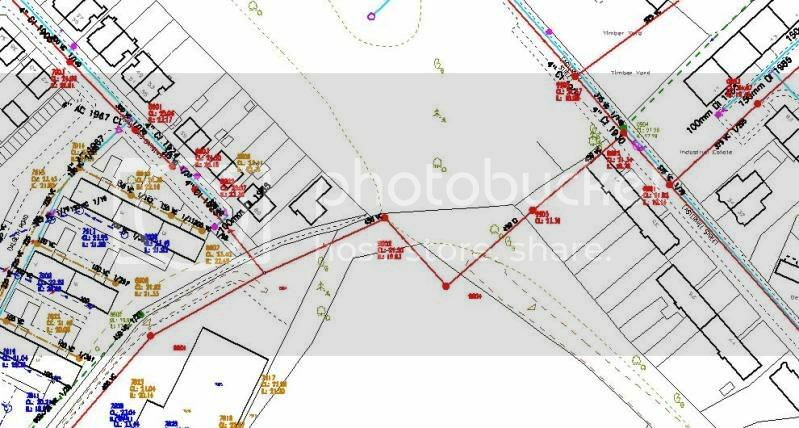 The culvert has never been fully surveyed so the exact line is unknown. 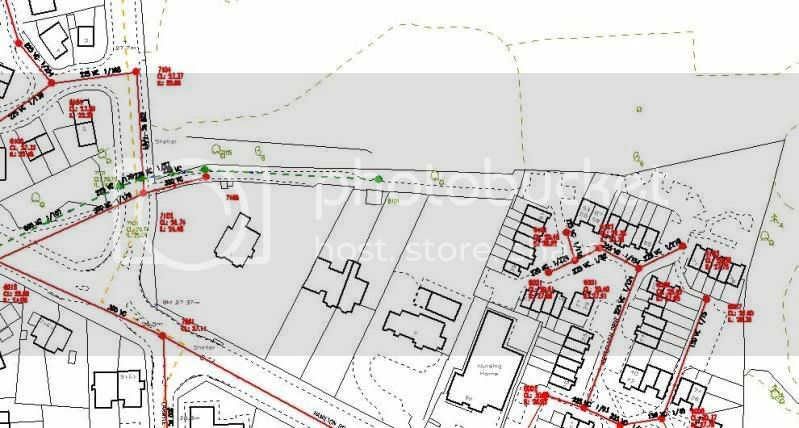 I think the culvert continues a short distance into the golf course, which is why the OS maps show the open burn appearing a bit further down than the point at which I've showed it meeting the course grounds. Good stuff Steve, the wee brig. I'll get back to this tomorrow night and tell you about the coal pit. 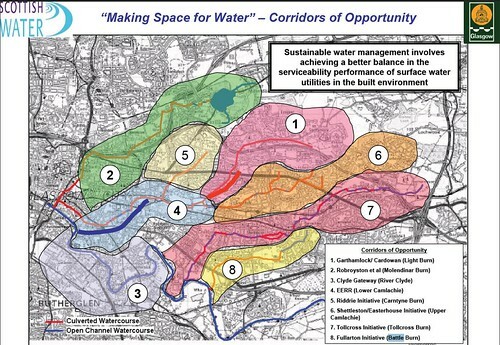 Screen grab from an old joint GCC/Scottish Water prepared presentation. 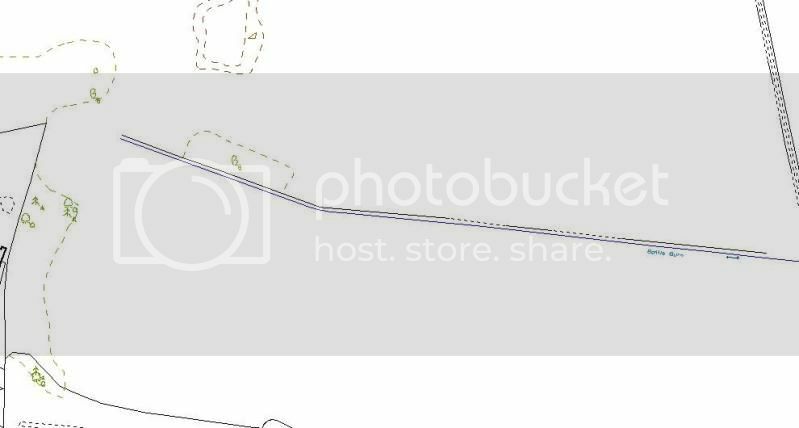 Not the clearest plan to look at, however if you're fairly local you should be able to follow the indicated line of the Battles Burn (it is 'Battles' and not 'Battle" by the way, no matter what OS maps, presentations or anything else might say!) as it is shown going up through Mount Vernon and into Barrachnie Park. Full presentation can be found here if anyone is interested. A lot of it is dull if you aren't interested in drainage, but there are some cracking flooding photos in it. Couple of photos I took earlier today of the former open section of the burn at Barrachnie Park. You can see the natural depression in the ground where the burn ran. As I said in a previous post, the Council filled in the channel with gravel after they have laid a pipe along it. Most of it now has grass growing over it but you can still see the gravel at some parts, most noticeably towards the downstream end at the edge of the woodland. There doesn't seem to be any sign of the old wooden footbridge so I guess the Council must have removed it. I'm working on this! images from 5 maps to study, might take a bit. OS Plan (surveyed 1858, published 1864) of land now occupied by Sandyhills Golf Course. 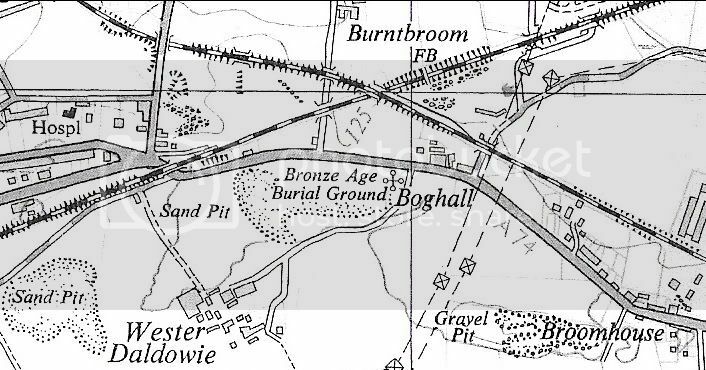 Here is a taster of my initial research - which illustrates the outflow from a colliery - located a short distance north of Mount Vernon House [in the woods west of the running track] - settling pond flowing [north and then west] towards the Tollcross burn. 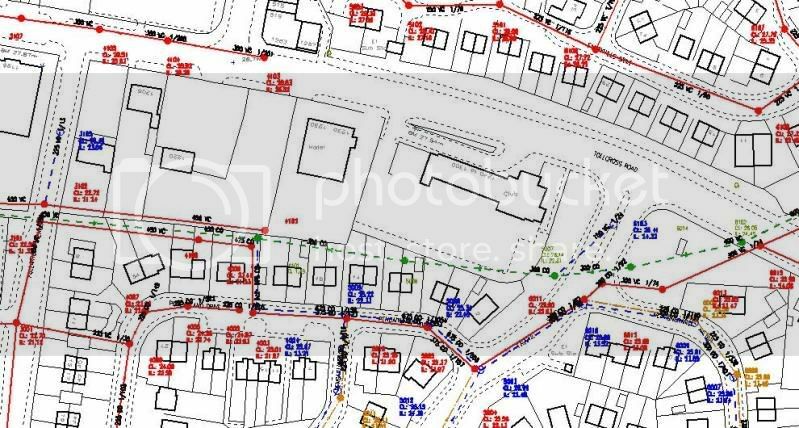 Not the way current drainage plans would suggest and purely an offshoot of colliery washing. Dated 1835. Source; Drumpellier papers, Ref. U12/410. NLC Archives, Lenziemill, Cumbernauld. Despite the above I'm not saying I've won the argument. I remember the ditch but think it was - and is only that a ditch. Icecube wrote: Despite the above I'm not saying I've won the argument. I didn't realise we were arguing - I much prefer the term "discussing"
Joking aside, I have to admit that you have made me begin to doubt (for reasons that I won't go into for the time being) what I had believed up to now . I must say, though, that I didn't make the association between the water feature at Barrachnie Park and the Battles Burn when I was a kid (I didn't even know the Battles Burn existed when I was a kid!) - this came much later after I began my working life and saw info that led me to the understanding I have. 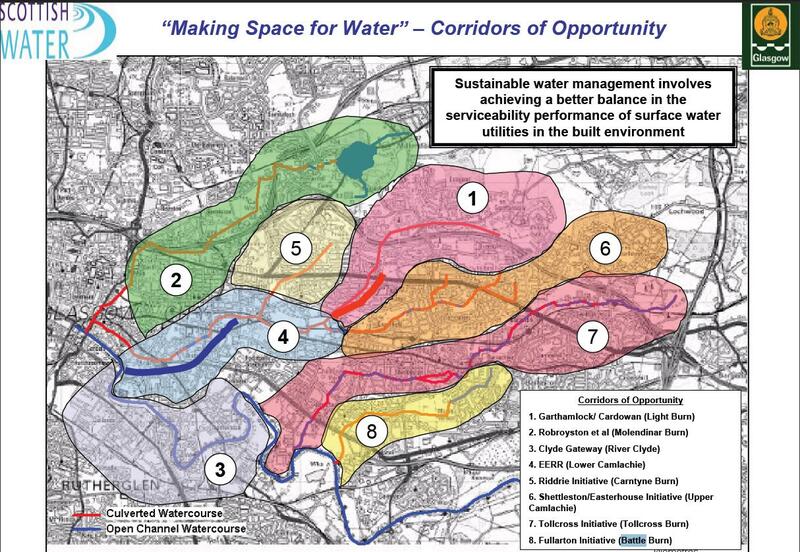 I'm fairly sure we used to have an old plan showing the route of the burn - I use the past tense because we handed over all watercourse-specific plans to GCC in 1996 when they took over responsibility for watercourses during the local authority reorganisations (SRC Sewerage Dept previously had this responsibility). 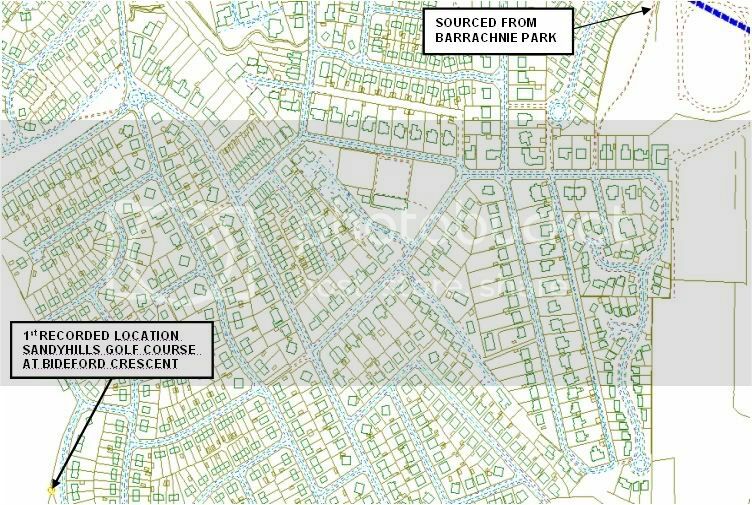 What I find strange about this is that GCC's info seems to suggest that the burn does extend all the way up to Barrachnie Park (the route on the presentation screen grab I uploaded in an earlier post was identified by them) and therefore corresponds with my understanding. It's possible, though, that their info on the route may have come from the old plan I referred to above rather than anything else. 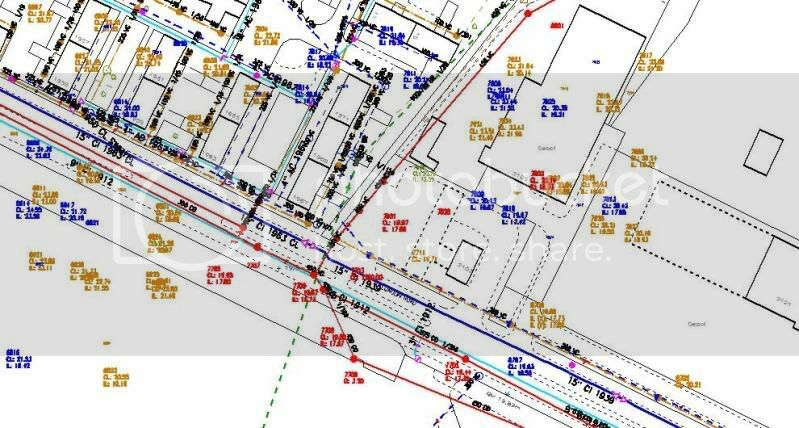 GCC are working in partnership with us on a Glasgow-wide drainage project and part of this involves investigation of all the known main urban burns in Glasgow. I understand that they have undertaken surveys, including CCTV I think, of some sections of the burn culvert so their info on the route could have come from that. I have access to some of the project info so I'll have a look through it next week to see what it turns up. I'm pretty sure I've seen a more detailed route plan among the info so I'll have a look for that to start with. On the plus side, you really do learn something every day - I never knew that there had been a pit down where the woodland is . Does NLC have a lot of plans like that in their archive? I quite fancy a shufty myself depending on what sort of coverage they have. No we aren't arguing Steve On hindsight I don't think they washed the coal way back then and the pond is more likely to have been the result of water drawn up the shaft to keep the workings from flooding and the ditch ran out of it to the Tollcross burn - following the natural topography there. All the Mount Vernon pits were prone to flooding, there are 4 capped shafts there that most residents will be happily unaware of. 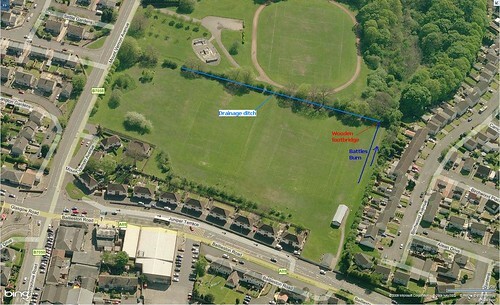 Just off the top of the image were woods - where the present football pitches and the Church Army houses are. But things change over the years and maybe somebody laid down a drains when the villas of old Mount Vernon were built in the 1870s, that could be the 'source' - of the line of the burn in present day plans, I don't know, I'm guessing but it would be interesting to follow through on this and who am I to argue with hi tec water deviners with cameras? Re your mention of the natural topography around that area. 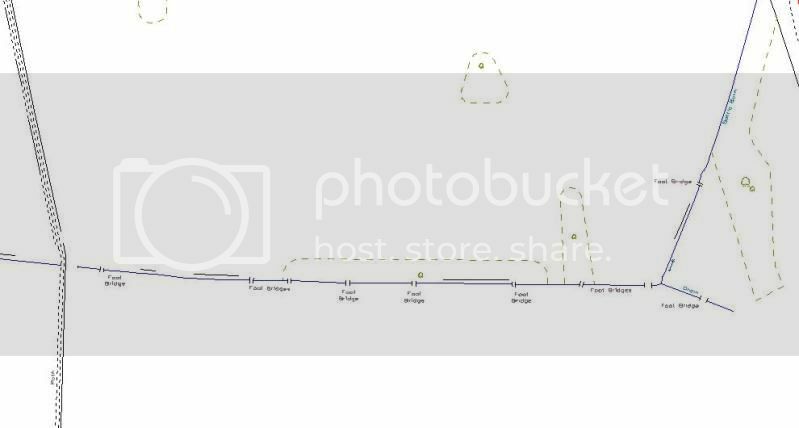 That's always something I've found strange in terms of my understanding of the burn route. 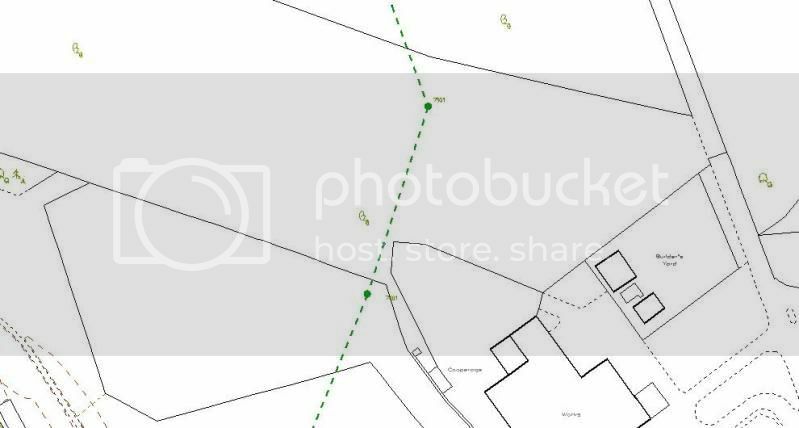 I could never get my head around why a burn would flow in the relatively flat north to south direction through the woodland and out to Mansionhouse Road when there is such a steep general fall in the east to west direction (i.e. from the running track, through the woodland, down to Birchwod Avenue). Then again, I've come across enough burns with unusual routes in my time to know to avoid making assumptions as to what the natural route might be. The fact that the colliery appeared to have had to form some sort of channelled outlet route (in a completely different direction) for the water (washwater, groundwater, or whatever it was), I think indicates it is unlikely there was a natural watercourse route running north to south through the woodland. 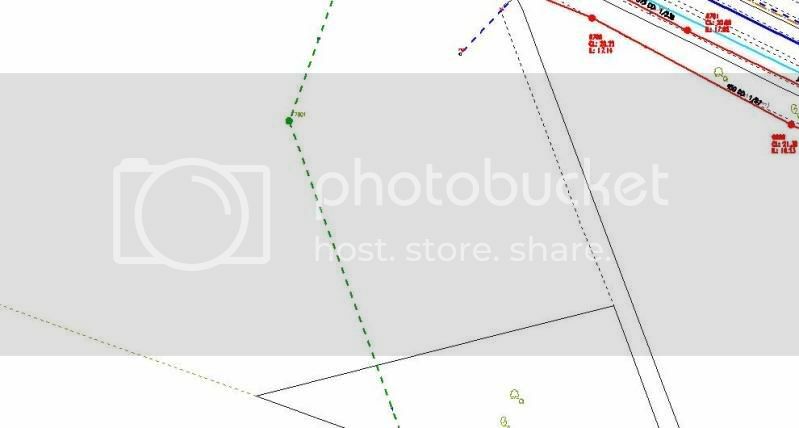 If there had been, common sense says they would have used this as their outlet rather than going to the trouble of forming what is shown on the plan you uploaded. Your suggestion of there being some sort of man-made drain, rather than a natural burn, along the upper part of the route I had described is plausible. I'll check the info I have access to and let you know what I find (if anything). There's something in the back of my mind that says there is a culvert manhole in the north-east corner of the bowling/tennis club grounds (just inside the fence line I think) - if I can't find anything in the project info I might try to find the time to have a look at what's inside it.